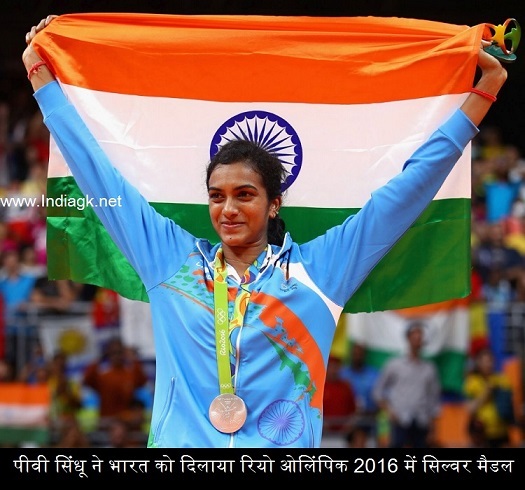 PV sindhu has created history by winning silver medal in Rio Olympics 2016. PV Sindhu became the first Indian woman to win a silver medal in the Olympics. Spain's Carolina Marin beat her 21-19, 12-21, 21-15 at the badminton final on Thursday. She has come a long way - from a 16-year-old watching Saina Nehwal win the 2012 London Olympics bronze to being India's lone badminton medal hope in the 2016 Games. Sindhu scripted a stellar 22-20, 21-19 win against former World No. 1 and London Games silver medallist Wang Yihan to enter the women’s semifinals. Her fierce strokeplay and aggressive cross-court returns have been the highlights of her game so far. She rated her win over the London Olympics silver medallist as one of the best moments of her career.